For the last three or so years, drone flying has been growing at an incredibly fast rate. There are more hobbyists than ever before, with numerous low-cost UAV brands entering the market. In the commercial sector, drones have been finding more and more uses from professional film making and photography to infrastructure inspections and agriculture. The commercial adoption of unmanned aerial vehicles (UAVs) has introduced the need for methods to protect against financial and personal hazards to civilians and property. The FAA started bringing order to market chaos by introducing regulations for drone use in 2016, what is now known as Part 107. Today, a new formality has also picked up among drone users: buying drone/UAV insurance. Unlike the FAA rules, though, drone insurance is not a federal law requirement. But many drone owners, especially commercial operators, have recognized the importance of getting it. Not only will it save you money in the event of damage or theft of your drone, it but can also protect you financially if your UAV injures other people or damages property. When the idea of insuring drones came about, major insurance companies were hesitant to get into it. But they have since warmed up, as the FAA has introduced new regulations and numerous organizations and groups have come up to help drone owners fly safely. The fact that over 500,000 drones were sold in 2016 didn’t hurt, either. With time and experience, it has also become easier for insurers to calculate the amount of risk drones entail, in order to calculate insurance premiums. Today, it is easy to get good and affordable drone insurance. You can either sign up with a major multiline insurance provider or go for one of the specialized on-demand drone insurers that have emerged like Skywatch.ai (a past advertiser on this site). In this guide, we discuss everything you need to know about drone insurance, including its benefits, types of coverage and average cost. This guide is for every drone owner, whether you fly a drone as a hobby or for commercial purposes. Not everyone needs drone insurance. If you buy a basic hobbyist drone for less than a $100 for use in your backyard, getting insurance coverage is excessive and unnecessarily expensive. The cost of repairing a racing drone is also typically far less than what you would pay in premiums. But for most professionals and serious drone/UAV operators, insurance is something you should seriously consider. The best insurance for you will depend on the cost of your drone, where you generally fly it and what you use it for. For example, I may not need to get accidental damage insurance for a $200 drone, but because I fly near a neighborhood, I really NEED to get liability insurance. But let’s say I buy a $3,500+ Phantom 4 Pro to carry out mapping projects for my clients. In such a case, I’d take both liability and accidental damage coverage. I would also consider extended coverage for things like theft. Here are the biggest reasons why you might need to get drone insurance. A drone, especially an expensive one, contains a lot of sensitive parts. The gimbal and camera are especially prone to damage. Even a small fall from a table can smash your camera or damage the lens. If you are flying, it is easy for the propellers to break and the body to get dented. Unless your drone fell on some waiting cushions, an accidental fall is going to result in a sizable repair bill. The more expensive the drone is, the pricier the repair is going to be. If you had a high-end camera setup, expect to pay even more to replace or repair it. Damage insurance can save you the costs of repair or replacement in the event your drone sustains a damaging impact against an object or surface. This applies in particular if you have an expensive drone costing over $500. If you have a commercial drone worth thousands of dollars, then damage insurance is a no-brainer. Otherwise, you will find yourself investing hundreds of dollars, sometimes more, to get your drone flying again. In some cases, you might have to stop using it because the repair bill is too high. If you have a low-cost or mid-range drone ($100-$1,000) and you don’t want to get insurance, you could check whether your manufacturer offers a discounted repair service. DJI, for instance, can repair your DJI drone for you at a reasonable cost, much less than you would pay at a third party repair service. 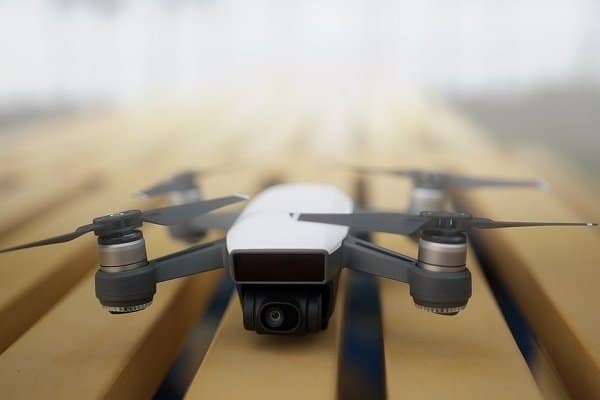 Several manufacturers, including DJI and GoPro, also offer damage coverage plans where you pay a certain amount (typically around $100) and in return, they promise to cover repair or replacement costs up to a specific amount. You have a bit some leeway when it comes to damage insurance and you can decide to forgo it, and you’ll be okay especially if you are an experienced flyer. You might even choose to incur repair costs rather than insurance premiums. But things can get quickly dicey when it comes to other people and property. 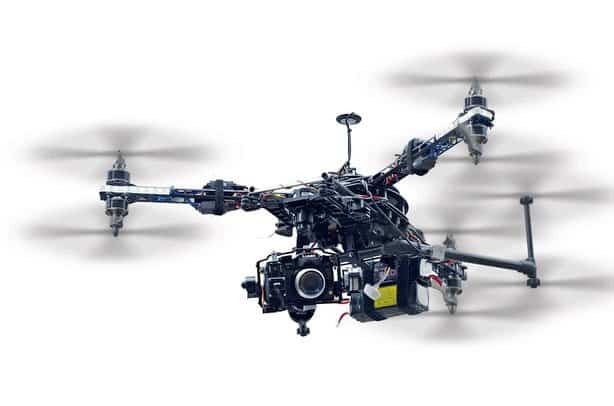 A drone moving at high speed with its propellers spinning rapidly can easily cause injury. There are numerous incidents of people getting injured from nose tips getting cut off to serious eye injuries. If you lose the power of the drone for some reason and it ends up slicing someone’s face or smashing onto their head, you could be held liable and required to cover medical costs. The same applies if you smash into someone’s house or car. You could find yourself liable for thousands of dollars in damage repair costs. What if you get sued for invading privacy or flying over restricted airspace? In 2015, a drone operator lost control of his UAV, and it crashes landed on the White House lawn. He was blessed not to have been charged or fined. Liability insurance takes care of all these issues, ensuring you don’t go bankrupt just because of a mistake you made. As long as you are flying a drone often in an area with people and property, I highly recommend liability insurance. If you think that nothing serious could happen, just take a look at this collection of drone accidents. If you use your drone for commercial work, you may be required to have insurance on it when working with certain clients. Because of the inherent danger involved in flying a drone, some companies may require that drone contractors have liability insurance to ensure compensation in the event the drone causes injury or damage. If there is such a clause in your contract, then you have no choice but to get insurance. One advantage of having liability insurance when using a commercial drone in your projects is that it inspires confidence among your clients. Few people are going to hire you for a mapping or inspection project if they are not sure that they are sufficiently protected from financial loss. This is especially beneficial for solo drone operators who work on a contract basis. If you want more business and recognition, consider getting your drone insured. Once insured, don’t forget to include it in your project pitches and proposals. Note that it also matters how much the liability insurance is worth. Most insurers provide a maximum coverage worth $500,000 although in some cases it can go over $1,000,000 depending on the type of business. So it’s also important to understand what coverage amount your potential customers are going to be most comfortable with. If you are a new aerial photographer / drone operator, then you definitely should get professional legal help when setting up your contracts to protect yourself from the issues above (and more). DroneLaw.Pro offers operators contract templates, training videos and a unique “Ops In A Box” business setup kit. If you are interested in hiring a drone/UAV photographer, then make sure you know what a good drone contract looks like. In some countries such as the Canada and UK, getting insurance for your commercial drone is not just a matter of contract requirements, it is actually required by law. In the UK for instance, if your aircraft weighs more than 20 kg, you are required to have adequate insurance coverage on it. 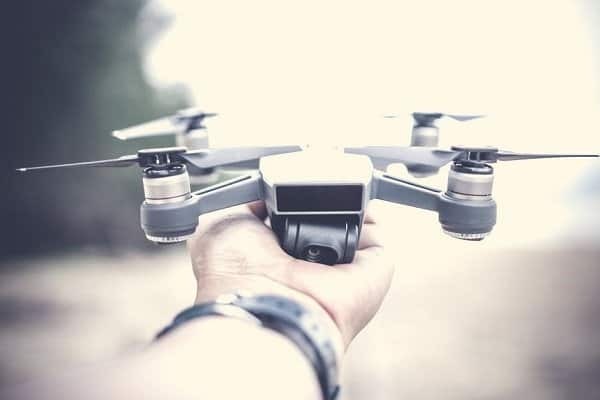 In the US, although there is no federal law requiring insurance for recreational or commercial drones, a local government or authority may require that you obtain sufficient insurance for certain activities such as professional film making or urban mapping. So check what your local laws have to say especially if you are flying a drone in public areas or for commercial purposes. The drone insurance industry is young and changing rapidly. Most notably, new types of insurance are coming up to cover the many needs of different drone operators. But some basic types of drone insurance have already taken root and are considered essential for commercial operation. There are two main types of drone insurance: liability insurance and hull insurance. Depending on your industry and how you use drones, you may also need other types of insurance such as payload insurance, ground equipment insurance and non-owned insurance. We are going to discuss each type in detail. This is the most general and the most important type of insurance. Drone owners are often advised to get this before they consider any other type of insurance. Drone liability insurance is a lot similar to the mandatory car liability insurance coverage that almost all states require drivers. The only difference is that drone insurance is not mandatory though it’s just as important. As with car insurance, drone liability insurance protects you financially from third party claims of injury or property damage. 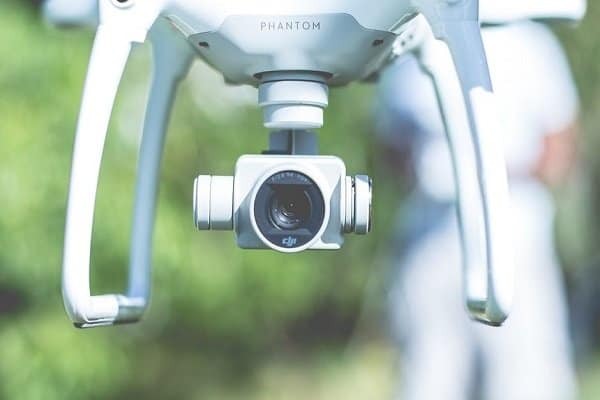 If you were to lose control of your drone unexpectedly and it veered off into a crowd, a serious injury could see you liable for thousands of dollars in medical costs. The same if the drone damages a car or building. Liability insurance transfers the financial responsibility of paying for these claims to your insurer. Note that this doesn’t mean that you cannot be held accountable for something like negligence, especially if you were breaking the law such as flying in a restricted area. But some companies extend their liability coverage to protect you from financial loss associated with charges of negligence and invasion of privacy. Check whether your chosen insurer offers this, especially if you are a commercial drone operator. Different insurers will offer different variations of liability insurance coverage depending on the type of drone you fly, whether you fly it recreationally or for commercial purposes, your flying environment and your skill level. Some companies will not offer any drone insurance until you prove that you have experience (usually a minimum of 20 hours) flying a drone. As I mentioned earlier, though the FAA does not require liability insurance, there are situations where you are forced to get it. They include contract requirements and local law. If you are in the Canada or UK, you may be required by law to get liability insurance depending on the size and weight of your drone. While liability insurance covers damage to third party property and injury to other people, hull insurance covers your drone. Essentially, this type of coverage protects you or your business from any accidental damage that occurs to your drone. If you lose control and your drone smashes into a wall, the insurer will pay for either repair or full replacement if the damage is extensive. It’s important to note that most insurers offer full coverage separate from coverage of onboard equipment. If your drone falls to the ground and the camera gets damaged, your hull insurance coverage may not compensate you. Equipment coverage is often covered in another package which we will discuss shortly. The compensation amount in hull insurance coverage will vary greatly depending primarily on the value of your drone. Thus the first step the insurer will take, in collaboration with the drone owner, is to estimate the value of the drone. You must make sure that your drone is not undervalued, which results in under-insuring, or overvalued, in which case you will overpay on premiums. Factors like depreciation, original cost and inflation are taken into account when determining a drone’s insurable value. As you would expect, a $5,000 commercial drone will cost more to insure than a $500 hobbyist drone. This is what I was talking about in the previous section. If you need coverage for all the expensive equipment your drone is carrying, you need a separate insurance package. It’s called payload insurance, although different insurers may call it by different terminologies. Most drones do not fly empty. If you are a hobbyist, you have an onboard camera to record all the action. Also, if you are a filmmaker or photographer, you have an even more expensive camera attached to the drone, sometimes even two cameras. If you are doing commercial mapping or infrastructure inspections, then you probably also have an infrared camera onboard. Other activities such as measuring temperature or wind speed require the use of third party sensor equipment. Usually, the attached equipment is more prone to damage than the drone itself. Even a small fall from a table can damage your camera sensor or break the camera, rendering the equipment inoperable. Payload insurance covers accidental damage to any equipment attached to the drone. The coverage provides financial compensation for repair or full replacement depending on the level of damage. One reason why the payload is covered separately from the hull is to get the value of each accurately. Just like in hull insurance, the coverage amount for payload insurance will depend on the value of the equipment. A $10,000 commercial IR camera will cost more to insure than a $1,900 Zenmuse DJI photography camera. Factors like depreciation, original price tag, and expected inflation in the future play a role in determining the final insurable value of your drone’s payload. For most commercial drone operators, the drone flying in the sky is not the only equipment they have. They most likely also have a ground station with additional equipment such as laptops, remote controllers, additional sensors and so on. As long as the equipment is associated with the drone, it is eligible for ground equipment insurance. Some insurers will even cover data recovery costs under this package in the event that your collected data gets corrupted or damaged in any way. This type of insurance is beneficial mostly for commercial drone operators who often use both ground and drone-attached equipment to carry out various projects. Let’s say you own a filming company and need to shoot a short video for a certain commercial. But you don’t have the best drone and camera for the job, so you hire a drone and camera capable of shooting the video. Imagine you also rent a video editing workstation that will be used on the ground. If all this equipment was yours, you’d need all the four types of insurance packages we have discussed above: liability, hull, payload and ground equipment. But just because you have hired the equipment does not mean that you don’t need protection from economic loss in case of an accident. So several UAV insurers offer what is known as non-owned insurance. It applies to drone and drone-related equipment that you have hired. Non-owned UAV liability insurance protects you financially from third party claims for damage or injury caused by a non-owned (hired) drone. The terms of this coverage – such as coverage amount and deductibles – will usually be similar to the general drone liability insurance. Note that non-owned liability insurance only covers damage to other premises and injury to other people. It excludes any physical damage to the aircraft or its payload. Those are covered in the next two insurance packages. Non-owned hull insurance protects you or your business from the financial costs of repairing or replacing a hired drone. This type of insurance may be a requirement by certain companies you hire a drone from. They want to be sure that you will be able to cover costs in the event of damage to the drone. As with normal hull insurance, non-owned hull insurance is determined by the value of the drone and includes roughly similar deductibles (between 5% and 10%). Non-owned payload insurance covers any onboard equipment that is hired. A good example is IR cameras. The best-infrared cameras for inspection and imaging can be costly, sometimes costing over $10,000. For companies that can’t afford their own, hiring is common. In such a situation, non-owned payload insurance will pay for replacement or repair of the camera should you accidentally damage it. Some companies require this kind of insurance to be in place before they can hire out their expensive equipment to drone operators. Some companies will combine payload insurance and ground equipment insurance in one non-owned equipment insurance bundle. Ask your insurer whether they cover hired payload and ground equipment together or separately. Naturally, the first thing most drone owners ask when they hear about drone insurance is how much it costs. I cannot give a blanket fixed figure or even range because costs vary widely depending on various factors. But I can give you great rough guidelines of how much you can expect to pay. Note however that these are just rough estimates. The best way to determine cost is to request a quote. We recommend asking for a quite from two to four insurers. This will allow you to compare costs and amount of coverage among different insurance providers. The package that will cost you the most in yearly premiums is liability insurance. A number of premiums charged depend primarily on the coverage limit of your insurance package. The minimum limit for most UAV liability insurance packages is $500,000. For this, you might pay around $600 a year or less. A majority of packages limit their coverage amount of $1,000,000. Estimate yearly premiums come to around $750. Beyond a one million limit, expect to pay over a thousand dollars a year. A $5,000,000 coverage amount comes to around $2,000 a year in premiums. The best coverage amount for you will depend on several factors such as the kind of environment you are working in (a high-traffic environment calls for higher coverage) and the kind of equipment you are working around (flying around expensive installations may require higher coverage). All these and more are factors the insurer will take into account when generating a quote. Some companies like Verifly and SkyWatch.ai offer on-demand insurance. Instead of buying coverage for an entire year, you only pay hourly for coverage when you need it. You can get a $1million coverage for about $10 per operating hour. Insurance coverage for the hull, payload and ground equipment will be based on the value of individual pieces of equipment. Here you need to be careful that your drone or equipment is not overvalued or undervalued. Ask your insurer how they went about the valuation process and raised any concerns you may have. This is because a too-high value can lead to expensive premiums while too-low value can leave you with insufficient coverage. 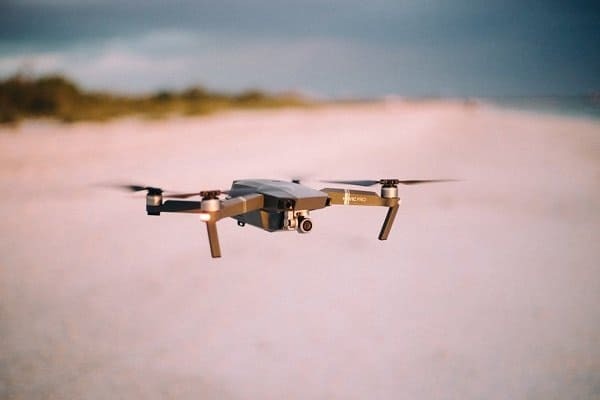 Just like a car insurer will consider things like age and experience when determining premiums, a drone insurer also takes other factors into account to calculate the amount of risk they are taking on by insuring you. The higher the risk exposure, the higher the premiums are going to be. Experience and skill. Some companies will ask you how many flying hours you have under your belt and ask for proof. Some will even ask if you have received any formal drone training. The thinking is that having some experience and skill makes you a better flier and reduces risk. Usage. How you use your drone directly impacts the amount of risk, you are exposed to. Photography or filming drone does not face as much risk as a firefighting or oil rig inspection drone. The latter will have higher premiums. Operation environment. The environment you fly in can also determine the amount of risk that is involved. If you are using a drone in an area where there are more people or property, the risk of liability claims is higher. For firefighting and inspection drones, the potential for physical damage is high. Hence hull insurance premiums will be greater than usual. Because all of these factors vary from one situation to another, most UAV insurers offer bespoke packages that are tailored to the special needs and budget of drone owners. So the best thing you can do is reach out to several insurers and request estimate quotes. This will give you a genuine idea of how much you will invest in insuring your drone. Important note: In this guide, I have focused mostly on commercial drones. If you are reading this and you’d like to insure your hobbyist drone, it’s possible. Many insurers have much cheaper packages (usually less than $100 per year) for personal use drones. 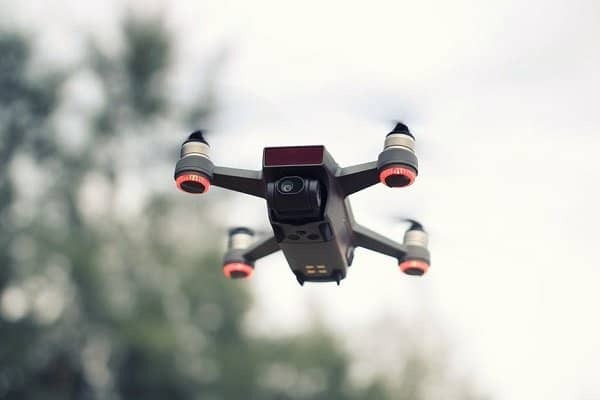 But before you call a drone insurer, check whether you home insurer will cover damage or theft of your hobbyist drone since it is part of your property. But you may still have to find another insurer if you need liability coverage. When you are working with an insurer, you need to be actively involved in the process to make sure that you get enough coverage without overpaying or underinsuring. Here are the seven most important questions to ask your insurance provider. 1. How much are the deductibles? Most insurance packages come with deductibles, usually set at 5% to 10% of the total amount. Make sure you understand how much you may need to pay out-of-pocket. In some cases, you might be lucky to find a zero-deductible insurance package, especially for hobbyist drones. 2. Do you provide coverage outside the country? Some insurers may have limits on how far coverage extends. If the drone sustains damage in another country, you may not be eligible for compensation. But most UAV insurers offer full worldwide coverage with only a few territory exemptions. 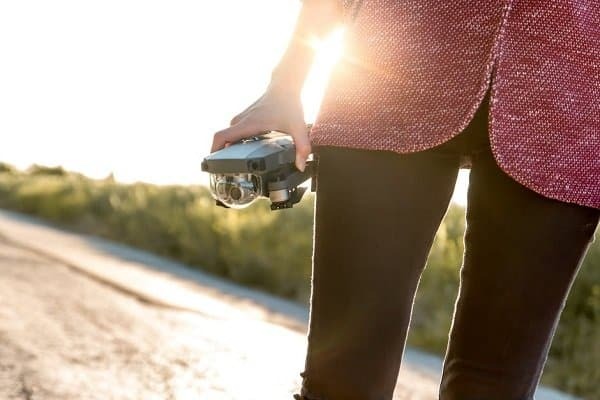 This is an important advantage for commercial drone operators with clients all over the world and for hobbyist drone owners who plan on traveling with their aircraft. 3. Do you provide coverage while in transit? Does the insurer cover the drone and associated equipment only when in use or do their extend coverage during transit? In-transit coverage is especially crucial for commercial drone operators who need to move their equipment from one site to another frequently. If in-transit coverage is provided, make sure you read carefully all the terms and limits associated with it. For instance, can they still provide coverage if you are traveling through a hazardous environment such as icy roads? And check whether the coverage extends to transportation beyond your country. 4. Do you cover additional units separately? For companies with a fleet of drones, it is important to check whether you can get all-in-one coverage or if you need individual coverage for each drone. Luckily, most companies can cover all your drones in one policy as long as only one drone is used at a time. Note that premiums can be higher if you have more drones. 5. Do you offer combined liability and hull insurance? In a few cases, insurance companies combine liability and physical damage coverage into one bundle. For instance, you can get $3,000 in drone damage coverage and $1M in liability coverage for around $1,000 per year. In certain cases, this can be a cheaper way to get both types of insurance. Just make sure that you cover both liability and physical damage. 6. What is the extent of your liability insurance coverage? The basics of liability insurance include protection from third party claims of property damage or injury. Some policies go further, protecting you from other third party claims such as negligence and invasion of privacy. Check how comprehensive the package is and whether you can extend it to cover more things. 7. Do I need training to qualify for insurance? Some UAV insurers are very strict on this. They require proof of training and experience before offering insurance coverage. Some will even go as far as offering their certification both in the practical and theory parts of drone flying. This entry was posted in Drone Buying Guides and tagged Drone Insurance 4000.